Buy Just Cavalli JC0793glasses online today at a friendly price. Originally made in 2017, Just Cavalli JC0793 glasses are lightweight plastic frames. They are comfortable to wear and are designed in signature Just Cavalli glasses frame style. Each pair of these authentic Just Cavalli glasses ships worldwide with a Just Cavalli glasses case and a cleaning cloth. After the order is placed, glasses Just Cavalli JC0793 will be packed and shipped to you via fastest shipping method to your location. Please note that when buying eyeglasses online that were manufactured in more than one size, you need to be attentive, especially if you are buying eyeglasses frames for replacement. Prescription lenses from old frames will only fit when the size matches. Size is written on glasses temple or sometimes on inside the nose bridge. Size does not matter if you are buying Just Cavalli JC0793 with prescription lenses. About Manufacturer Just Cavalli glasses and sunglasses are part of Roberto Cavalli brand. Just Cavalli in the past few years outgrew Roberto Cavalli in popularity because the style has more popular direction. 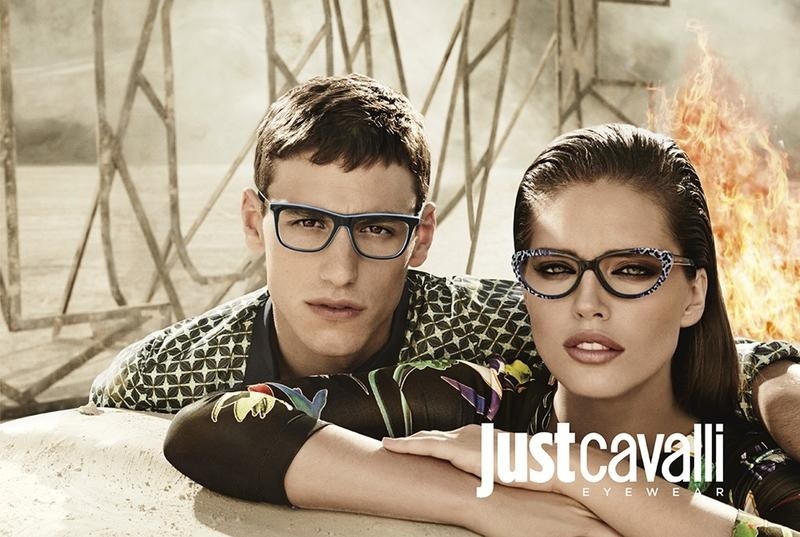 You will enjoy Just Cavalli eyeglasses because they are unique and you can truly say they are designer glasses. Each pair of Just Cavalli glasses looks different from other brands and each other. There is much more variety of color and more suprising styles. Just Cavalli eyeglasses frames are of excellent quality. They are made from hand made acetate or light weight stainless steel. Each pair undergoes carefull quality control at one of the largest eyeglasses factories in the world. Just Cavalli glasses frames will not chip, acetate will not fade and is expected to last for many years. Just Cavalli sunglasses is a real treat for women and girls of all ages. Just Cavalli sunglasses are trendy with many fun colors, animal prints and shapes. Buy authentic Just Cavalli glasses and eyeglasses from EyeInform website for fast shipping and easy returns.